As the year is winding down, Leonardo Academy's team of experts is gearing up to expand the impact of their sustainability and environmental improvement projects. Not only will 2017 bring a new level of challenges in the field of sustainability, emissions reduction, and overall climate action, it also marks Leonardo Academy’s 20th anniversary as a nonprofit. Since 1997, the organization has been working with the mission of leveraging market forces to advance sustainability and environmental improvement. In order to meet oncoming challenges and celebrate 20 years of hard work, Leonardo Academy is conducting a year-end fundraiser. For more information about Leonardo Academy’s project work and how to donate, see President Michael Arny’s year-end letter. Leonardo Academy will also continue to raise funds throughout 2017. 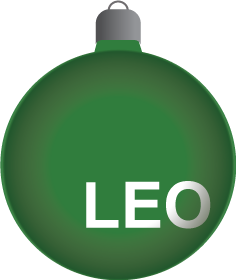 If you are interested in volunteering as a fundraiser for Leonardo Academy, please contact maren@leonardoacademy.org.